The Kyiv City Council at a meeting on Tuesday decided to allow municipal enterprise Kyivteploenergo to take on debts of Kyivenergo for gas to national joint-stock company Naftogaz Ukrainy under a condition if Kyivenergo transfers the sources of compensation of the debt to the municipal enterprise. A total of 76 lawmakers backed the decision. "This step will give the opportunity to return hot running water to residents of Kyiv, and the municipal services to do the work preventing the heating season from a failure. Today we are talking about responsibility for debt that has sources for compensation, as well as the writing off of all fines," Kyiv Mayor Vitali Klitschko said. According to Deputy Head of the Kyiv City Administration Petro Panteleyev, Kyivteploenergo will be able to pay off the debt in part thanks to a subvention from the state (the state's obligations to Kyivenergo for the difference in tariffs), and the principal amount – thanks to the transfer of accounts payable to the municipal enterprise (consumers' debts to Kyivenergo). "We can reach the final stage of settling the issue with Naftogaz, having received a compensator in the form of receivables, reducing the amount by almost half and the absence of penalties, which is the most optimal among all possible options," Panteleyev said. 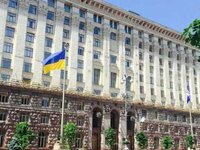 According to the draft decision, Kyivenergo's obligations to Naftogaz, which arose as a result of its economic activities, are not subject to acceptance by Kyivteploenergo, if Kyivenergo does not transfer sources of debt repayment. In addition, Kyivteploenergo is not the legal successor of the penalties accrued on the debts of Kyivenergo. The deputies of the Kyiv City Council also decided to ask the Verkhovna Rada to apply to the Constitutional Court to provide official explanation of Article 22 of the law on heat supply (conditions for changing ownership rights and peculiarities of the succession of obligations in the sphere of heat supply).